Cinque Torri, the Five Towers: classic and sport climbing for all levels! 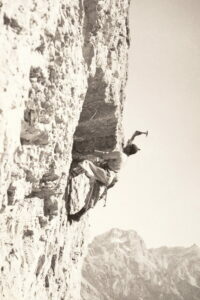 HomeClimbing Cinque Torri, the “Scoiattoli’s crag”. 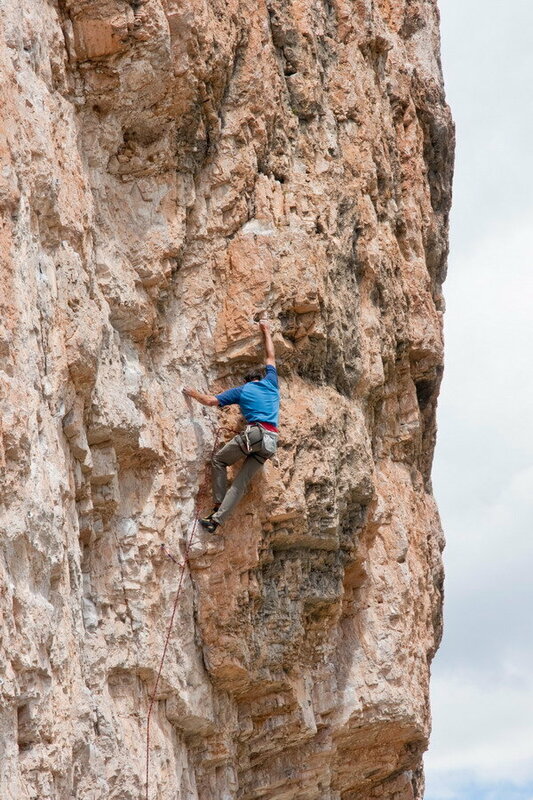 Classic and sport climbing for all levels in Cinque Torri. 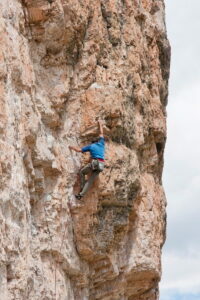 In Cinque Torri (“Five Towers”) classic and sport climbing routes run alongside each other. Notwithstanding the fact that it is possible to find a lot of information on the Internet about the Cinque Torri, I couldn’t resist in writing my suggestions. This place is special for me, since it has been for decades and still is the “Scoiattoli’s crag” (the Scoiattoli, i.e. the squirrels, is our name. 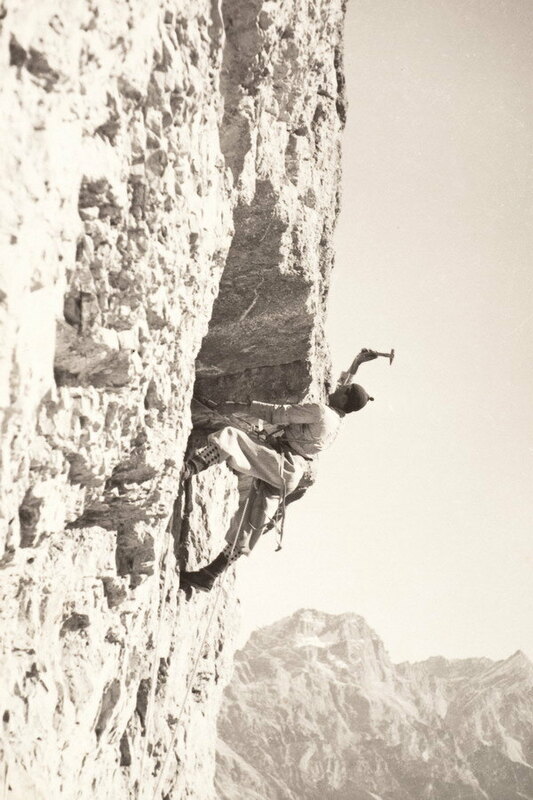 The Squirrel Group is the most famous group of climbers in Italy). Indeed, I started climbing on this crag’s vertical walls as a child; even nowadays I frequently climb in Cinque Torri both for passion and for work, and I can say that I really know in detail these peaks and all their climbing routes. 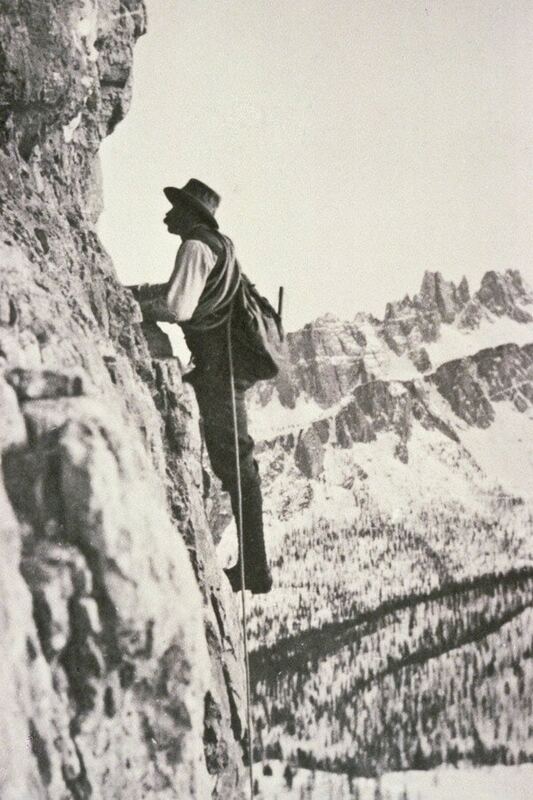 The Cinque Torri have always been the perfect testing ground for generations of alpinists from Cortina d’Ampezzo. The Cinque Torri are the first step towards big wall climbing in the Dolomites; they are visited by alpinists of all levels, who test themselves both on single pitch modern routes on bolts as well as on longer and harder multi-pitch routes, which still have some old rusted and weathered pegs. It’s important to know that, given the high number of climbers, the local mountain guides started to secure the belays of the most climbed multi-pitch routes with large bolted rings since the beginning of the 40s; today the belays of almost all routes are protected in this way, as well as the belays for rappelling down from the top of the peaks. This small formation is composed of several giant blocks of Dolostone, shaped as vertical towers of various heights; while the Torre Grande (the Big Tower) is 170 meters in height, some smaller blocks do not even reach 10 meters. The name is misleading on the number of towers, since it is correct only as observed from the city centre of Cortina d’Ampezzo; in reality, while hiking around this formation, we can count many more, of the most diverse shapes and often overhanging on one or more sides. In order to enjoy their immense beauty, it is not enough to admire them from far in the distance or from the refuge, but rather hike around and in-between them, reaching the centre of this small world of blocks and curious peaks. The Cinque Torri and the adjacent blocks can be climbed from any side, and the type of rock and climb is very varied. On the south and east faces the rock is often yellow and overhanging, climbing on edges and vertical holds. On the north and west faces, the rock is primarily grey and modelled by water, very solid and with several pockets and jugs. There really are single-pitch and multi-pitch routes for everyone, but I do not want to list them here. I advise purchasing the guide book “Falesie a Cortina d’Ampezzo” (English version available), which contains a description of all single-pitch and modern multi-pitch routes, as well as details of several famous classic routes. Among the classical routes, my preferred ones in ascending order of difficulty are: the thin Torre Inglese, the Torre del Barancio with his solid rock, the historical Miriam route, the perfect corner of the Olga route, the aerial Diretta Dimai, and the technical Raponzole route (this last one a modern route). Approach: between 10 and 20 minutes (depending on the chosen towers). Number of routes: more than 140 single-pitch plus dozens of classic and modern multi-pitch routes. Length of pitches: between 10m and 40m (useful an 80 mtrs rope). Climbing with bad weather: only on some single-pitch routes on the south face of the Torre Grande Cima Sud. Period: from May to November. With good weather, you can climb on the south face of the Torre Grande even in winter. Advice: I recommend the use of a helmet, even when climbing just on single-pitch routes; the towers are continuously climbed and several multi-pitch routes cross above the single-pitch sport routes. Beware rock falls even when hiking around and in-between the towers. What are the individual names of the towers? 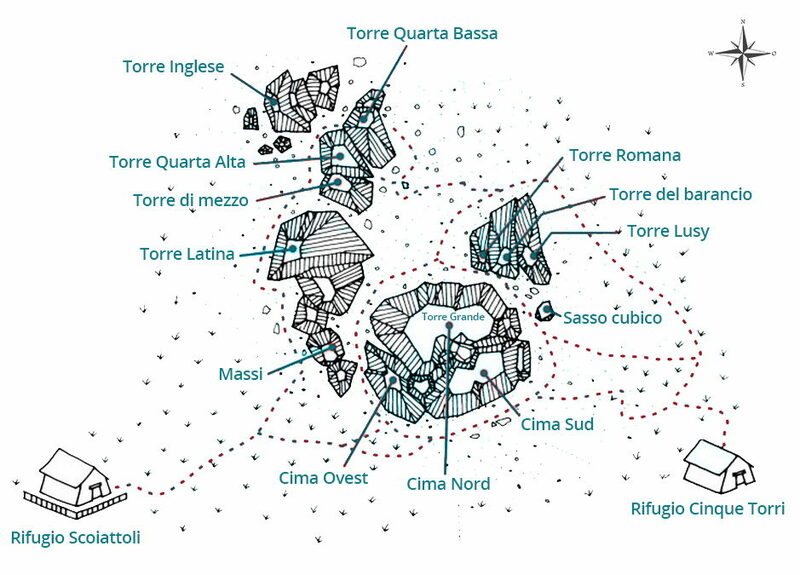 Torre Grande, , the biggest, is in reality composed of three separate towers with their own peaks: Cima Nord (North Peak), Cima Sud (South Peak) and Cima Ovest (West Peak). The Second Tower, is composed of three distinct peaks named the Torre Lusy, Torre del Barancio and Torre Romana. Third Tower, or Torre Latina. Fourth Tower, composed of three different peaks of different sizes (Torre Quarta Alta, Torre Quarta Bassa, and a third smaller Torre di Mezzo on whose overhangs some single-pitch routes have been opened). Fifth Tower, or Torre Inglese. Therefore, the Cinque Torri are not five but rather eleven. 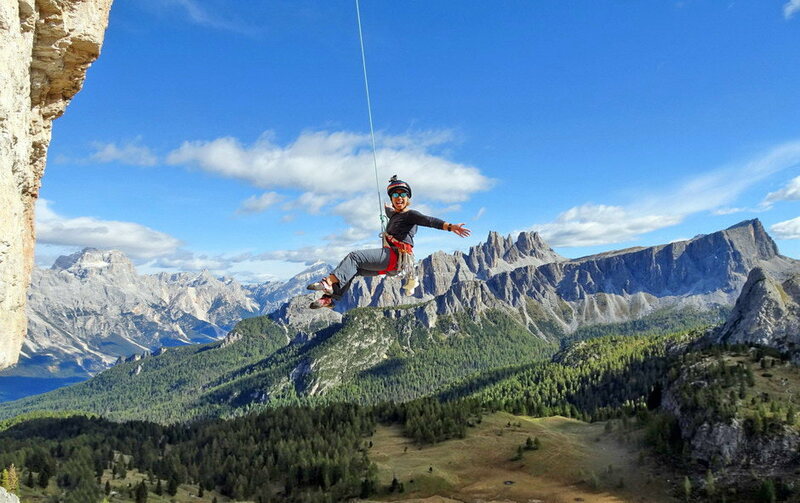 They are located in the south-west area of the basin of Cortina d’Ampezzo, to the north of the nearby Averau mountain. The towers are dispersed along a south to north axis, starting from the south with the Torre Grande and ending to the north with the thin Torre Inglese. In the middle is a small plateau composed of gravel and blocks, traversed by various hiking paths used by the climbers. Two centuries ago this formation was called Monte Castellat. 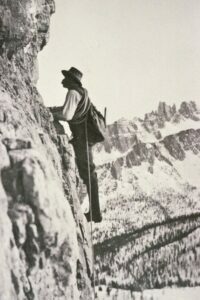 How to reach the Cinque Torri? 2 – the chairlift two kms higher up the state road at junction Bai de Dònes (km 110). Note: the private road is closed to general traffic from 9:30am to 4:00pm in the period from the first to the last Sunday of August. Normally this road is free of snow from May to October. At the top of the road and at the top of the chairlift are two mountain huts, the Rifugio Cinque Torri and the Rifugio Scoiattoli respectively. From both huts the hiking trails depart towards the towers, which can be reached in a few minutes. During the tourist season, a bus connects Cortina d’Ampezzo with Passo Falzarego, stopping at the base of the chairlift. For the operating times of the bus, you can contact Lagazuoi 5 Torri Turismo, tel. +39-0436-2863. Operating times and prices of the Cinque Torri chairlift. The Trephor Tower, the tower that is no more. Until 2014 the towers were 12, however in May of that year the Trephor tower collapsed. Today only two large blocks remain, almost intact, while its peak dismantled in thousands of smaller blocks. The Trephor tower was about 50 meters high, and notwithstanding being the smallest, it was the hardest to climb as it was overhanging on all sides. Luckily the event happened on a period without tourists and climbers, and no-one was hurt. It would have certainly been different if the tower had collapsed during the busy summer months, with climbers on its walls and the hikers underneath observing the climbers. I like to remember a cold day of January 1979 when at 18 years old I was attempting the Strobel route on the east face of this tower with my friend Antonello Cimbien, but we were forced to give up for the cold, and probably our still limited experience 🙂 . Snowshoes: discovering the Cinque Torri.